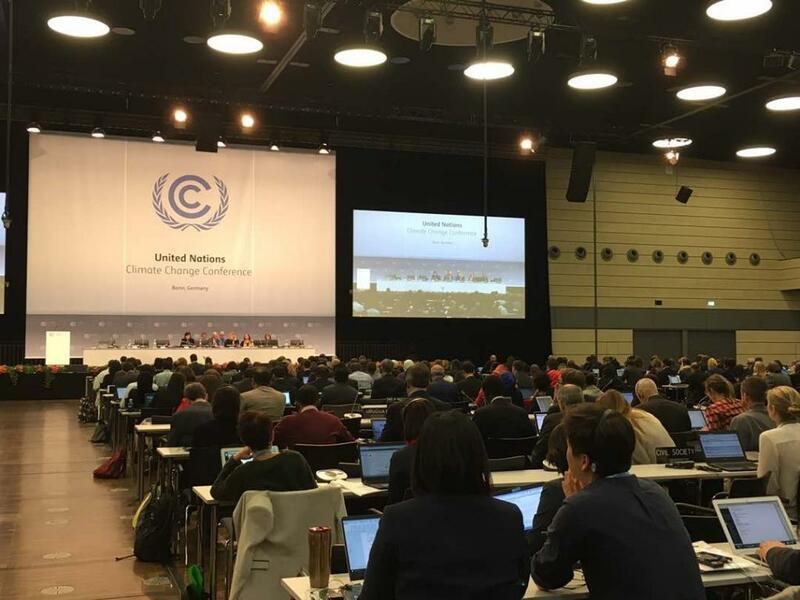 Climate talks have started in Bonn within the three broad streams—Subsidiary Body for Scientific and Technological Advice (SBSTA), Subsidiary Body for Implementation (SBI) and the Ad-hoc Working Group on Paris Agreement (APA). The Bonn session scheduled to be held from May 8-18, 2017 has started amid growing speculations about the present and future US engagement in the Paris Agreement. The declarations made by the Donald Trump administration, including no funding for the United Nations Framework Convention on Climate Change (UNFCCC), Intergovernmental Panel on Climate Change, Green Climate Fund, Clean Technology Fund and the Strategic Climate Fund, calling for immediate review of the Clean Power Plan and reversing several of Barack Obama’s moratoriums on climate change, will have a direct impact on addressing climate change in the US as well as globally. The slash of funding will have a direct impact on the implementation of climate action plans or Nationally Determined Contributions, much of which is conditional on the support of developed countries. Further, different factions in the Trump administration also hinted that it could submit a new and revised climate action plan reflective of its own interests or may even pull out of the Paris deal. Ideally, considering the developments in the US, developed countries must step forward and fill up or compensate for the US. At the same time, considering the urgency to address climate change, more so with frequent climate impacts witnessed around the world, it would come as no surprise that developed countries would mount pressure on developing ones to undertake necessary steps to address the issue. However, this would be against the very foundation of the UNFCCC, which mandates developed countries to take up responsibility to address climate change, and at the same time, support developing countries in their domestic efforts to address climate change. In the opening plenary of APA, Iran, speaking on behalf of Like-Minded Developing Countries (LMDC), stressed that the principles of equity and differentiated responsibility are not open to negotiations or reinterpretations and that there should be no backtracking on climate commitments. However, considering the nature of climate negotiations and the behaviour of developed countries reflected in their extreme reluctance on increasing their climate ambitions or the support to developing countries, it would be interesting to watch how the negotiations unfold in Bonn. Negotiations, over the years, have also pointed out the fact that issues critical to developing countries, including means of support, adaptation, loss and damage and agriculture will suffer huge setback as the focus of the developed countries is more mitigation-centric. Such concerns were well reflected by developing countries represented by G-77 and China, LMDC, Least Developed Countries (LDCs), Arab Group, Alliance of Small and Island States (AOSIS) and BASIC (Brazil, South Africa, India and China) group in the opening plenary that the negotiations should seek balance between different elements of the Paris Agreement. China, while speaking on behalf of the BASIC group, urged developed countries to scale climate finance by 2025. It also called upon countries for assessment of pre-2020 actions and enhance the provision of support. In this regard, it stressed that the ratification of the Doha amendment of the Kyoto Protocol with respect to pre-2020 actions is must. Developed countries represented by the European Union, Environmental Integrity Group and the Umbrella Group (that also comprises the US) stressed on the negotiations to be specific and solution based. A single contact group within the APA would guide the work for different items under it. All the countries assured full cooperation to carry forward the work within the three streams. Within the SBSTA and the SBI, work was launched under each item. For instance, informal consultations were launched for each of the element under SBI, including national adaptation plans, modalities of clean development mechanism under informal consultations headed by two co-facilitators, one each from developed and developing countries. Within the SBI, a spin-off group was also established for a proposed budget for transaction log and to prepare the draft conclusions at the closing plenary to be held on May 18, 2017. The budget was submitted by the executive secretary ahead of the Bonn meeting and is the total proposed core budget for 2018–2019 to the tune of €58,989,547. Additionally, for other items too, the contact group would also present draft conclusions at the closing. At Bonn, Parties would continue their work on formulating the rule book for implementation of the provisions of Paris Agreement, the deadline of which is agreed to be 2018.